Your family will love this beautiful home with bright decor, fantastic ocean views, direct beach access (third house from the beach). You can even bring your dog! 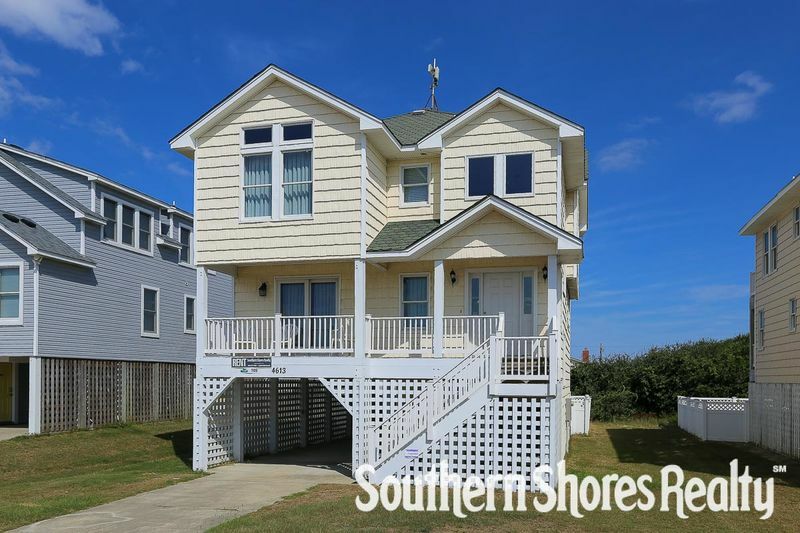 Great location lets you spend your vacation on the beach, not in your car. Only 130 yards to beach access, a short stroll to fine dining at Ocean Blvd., quarter mile to shopping and entertainment. A wonderful vacation experience awaits! 3 bedrooms (master bedroom with King, 1 with Twins, 1 with Pyramid bunk and Trundle), 2 full baths. Great room, dining area, kitchen, master bedroom (with King and private bath), powder room. We REALLY enjoyed our stay at A Pinch of Salt!!! This house was very clean, with lots of amenities! The ocean view was incredible and the quick beach commute made for easy trips to and from the beach. The pool/hot tub service person was super friendly! We thoroughly enjoyed everything about god house! Will stay again for sure!! !